We usually use a calendar to plan our monthly activities and other schedules in order to not miss them. Why not make it more motivating and interesting? 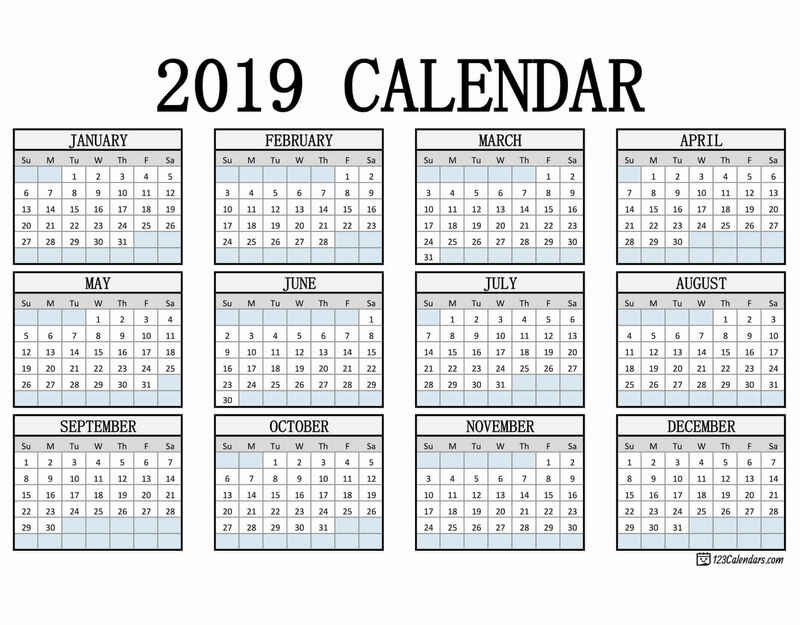 Yep, I'm talking about printable 2019 calendar! We know how excited you are to plan the year beforehand and set all your goals. A printable calendar will surely work with you – allowing you to design the calendar on your own. Simply browse online to get a list of templates accessible and customize it according to your needs, which include logos, images, or other information. A well-designed printable calendar can help you keep track of your day-to-day events. 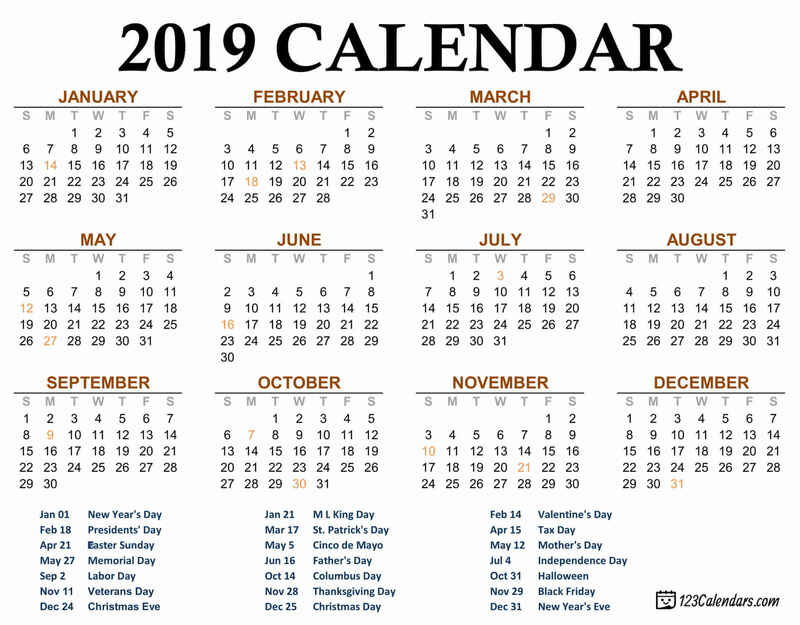 Especially for busy individuals or entrepreneurs, a pocket-sized booklet 2019 calendar will remind you of the important activities and events within a day. Yes, even getting a calendar of any size is highly possible! 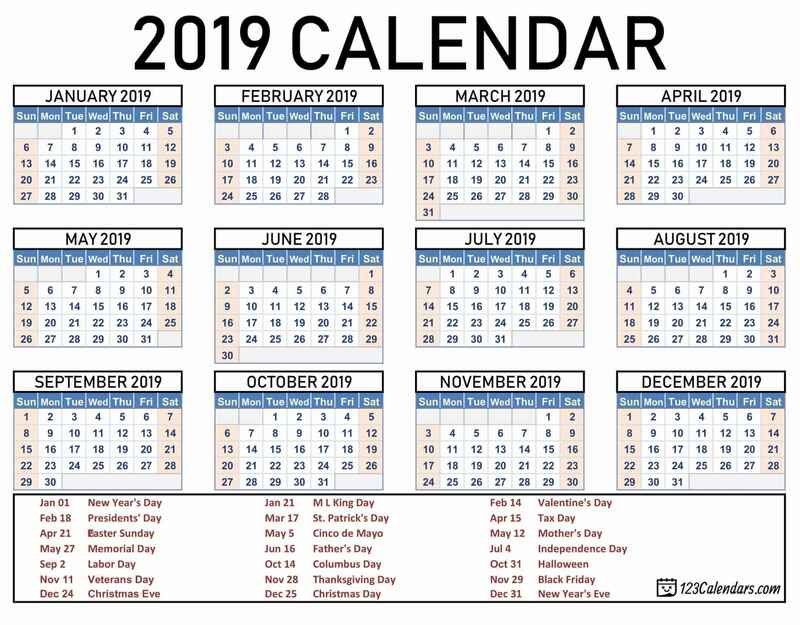 You can get a 2019 printable calendar with a size similar to ordinary ones or those you can bring with you anywhere you go. Also, making your own trademark is provided. You can design the calendar with a picture of your loved ones or a logo of your company in the background. 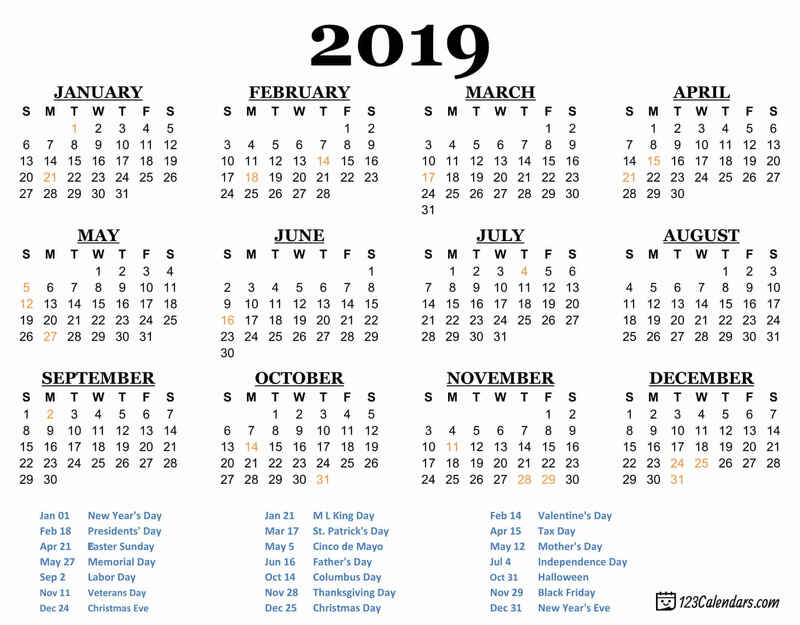 Printable 2019 calendar can get for free! Pick one now, choose the perfect design, and voila! Missing any single schedule is a no-no!